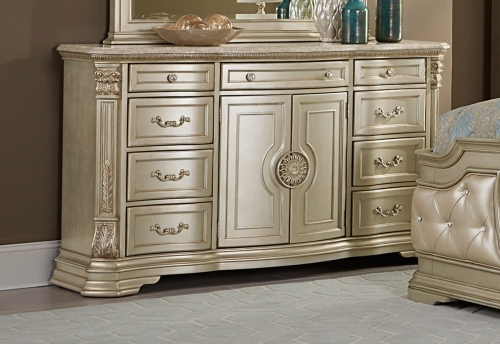 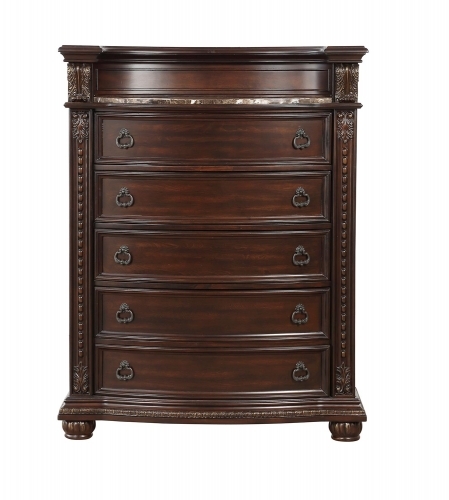 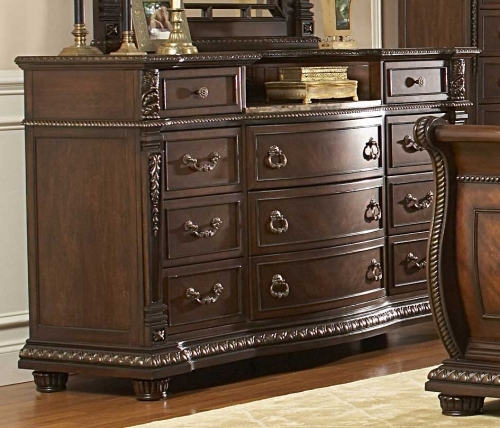 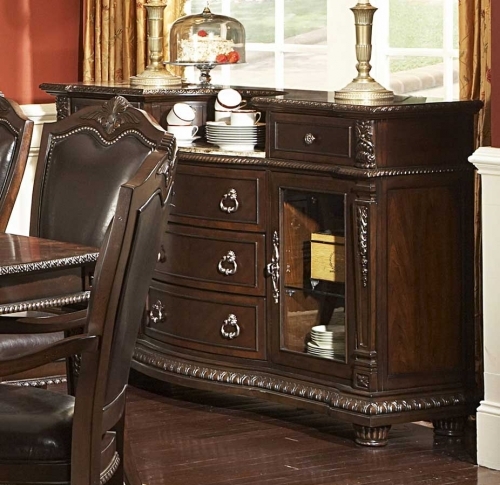 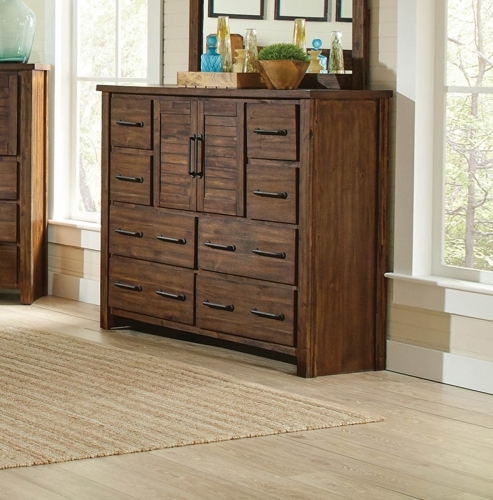 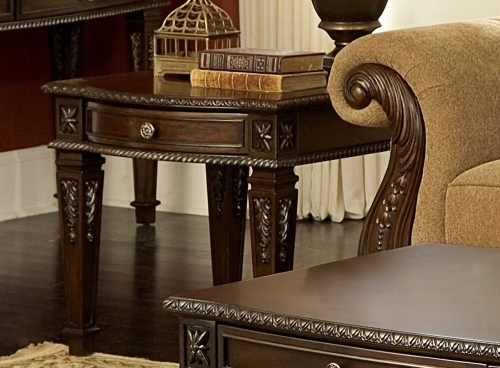 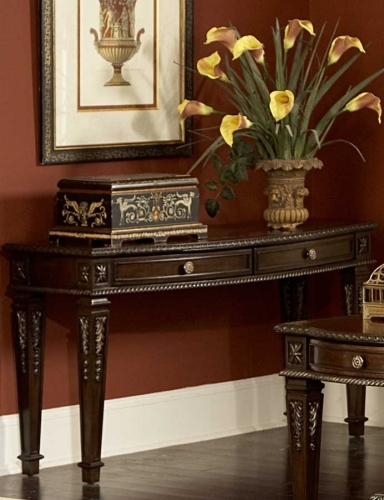 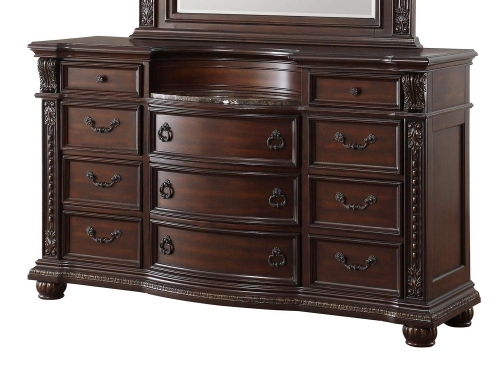 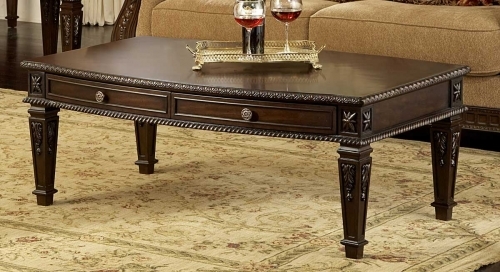 The Homelegance Palace II Collection exemplifies the rest of Old World Europe. 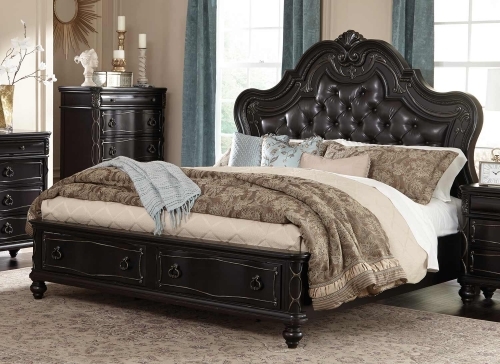 With egg and dart base moldings, rope-twists, acanthus and tobacco leaf carvings, florets and inset blue stone marble tops, the Palace II Collection has it all. 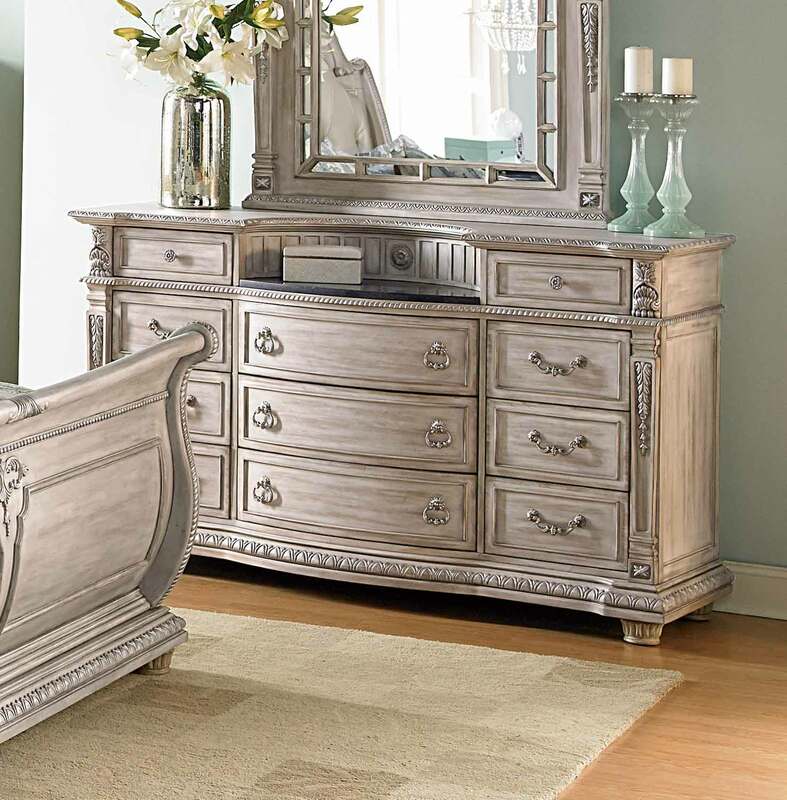 The many exquisite details combined with a rich weathered, white rub-through finish on cherry veneers combine to create an ideal European environment worthy of the nobles of yesteryear and the discriminating homeowner of today. 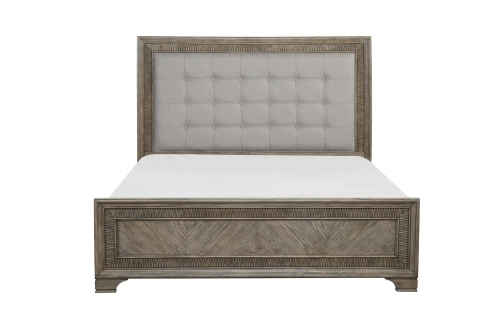 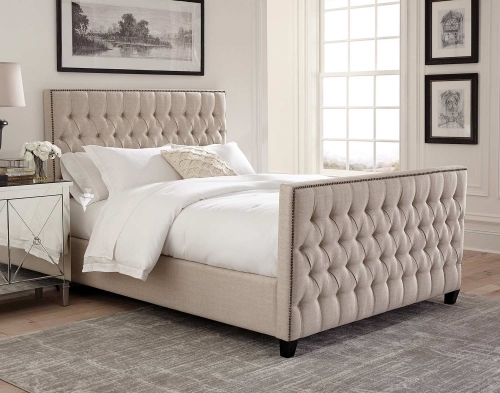 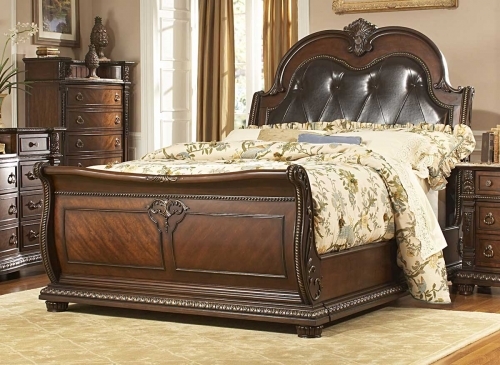 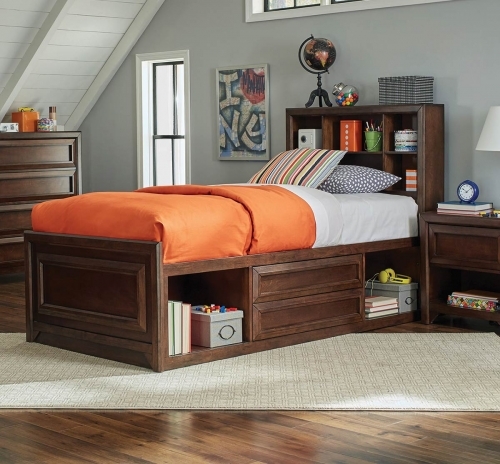 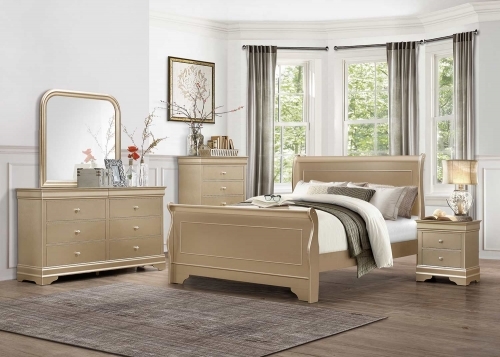 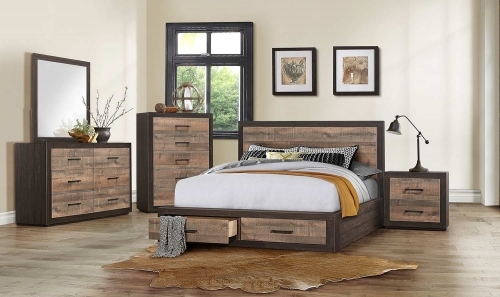 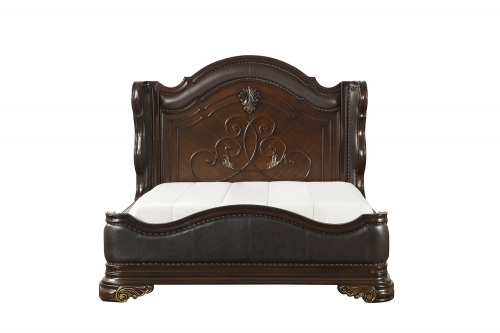 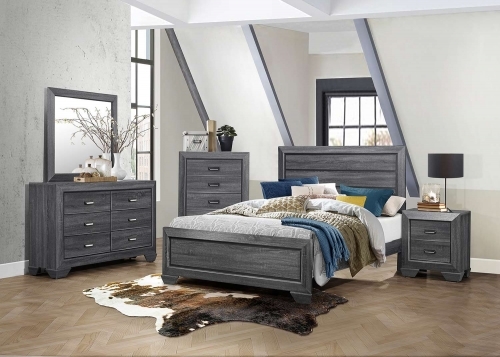 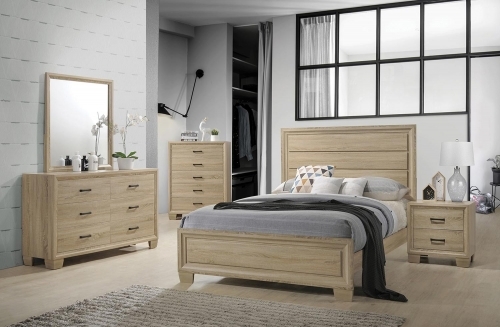 The button-tufted, pearl bonded leather insert on the headboard provides an elegant and trendy take on the Old World feel of this Palace II collection by Homelegance.